I will be starting a new topic called bible signs and symbols. Many people don’t know that EVERYTHING in the bible means something in Gen 25:1-7 it says Jehovah said to Moses, “Tell the people of Israel that everyone who wants to may bring me an offering from this list: gold, silver, bronze, blue cloth, purple cloth, scarlet cloth, fine twined linen, goats’ hair, red-dyed rams’ skins, goatskins, acacia wood, olive oil for the lamps, spices for the anointing oil and for the fragrant incense, onyx stones, stones to be set in the ephod and in the breastplate. There were reasons why God chose these specific items for the building of the tabernacle and today we are going to talk about one of them. So remember the next time you’re reading about Noah building the ark keep in mind that the width and length and the type of the wood ment something. This is VERY important to God. Over time, certain colors became associated with specific context, much as the colors red and green have become associated with Christmas in the modern world. Symbolic means for color evolved from their association with a context. This was particularly true of the color purple. Purple dye was derived from the murex shellfish found in the Mediterranean Sea, and 250,000 mollusks were needed to make one ounce of dye. Because purple dye was so expensive in the ancient world, it was used only by people of high status. 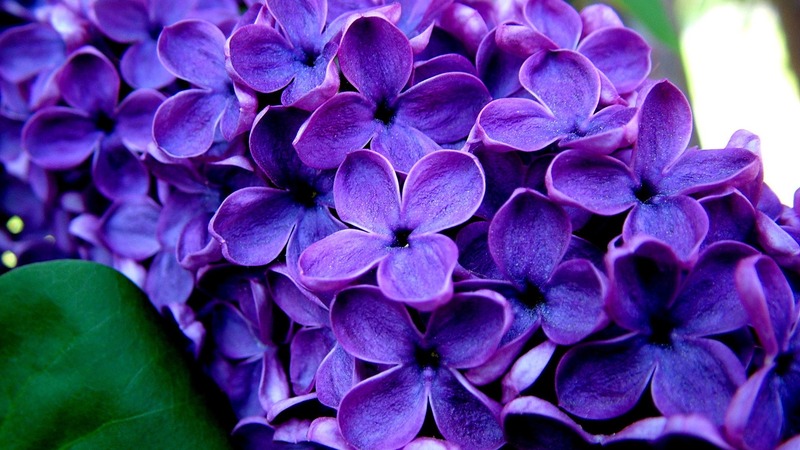 Thus purple become a symbol for power, wealth, and royalty. 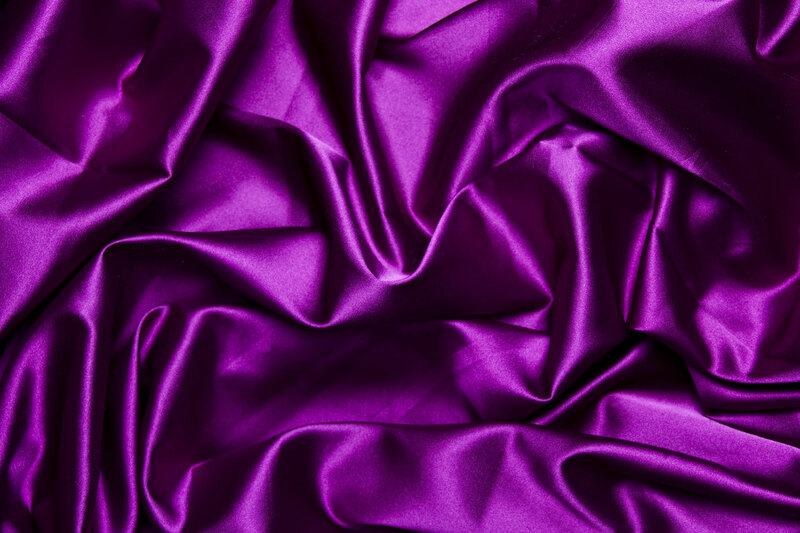 Dyes in the ancient world came from nature, and because purple is a more rare color in nature, purple dye was difficult to obtain . Purple was the color of royalty in the Old Testament. One of the spoils of war that Gideon took from the kings of Midian was their purple robes (Judg. 8:26). Mordecai also wore a purple robe (Esther 8:15), and the color purple figured prominently in King Xerxes’ royal splendor (Esther 1:6). King Belshazzar’s riches included his purple in Ezekiel’s day (Ezek. 23:6), and it was an important commodity for Tyre (Ezek 27:7,16,24). Purple continued to be highly prized in the New Testament. It was an important and expensive item of trade for Lydia (Acts 16:14), and we know from that description of her that she was a successful tradeswoman and a prominent member of the church. The absence of purple trade in the book of Revelation is an indication of Babylon’s fall (18:12). 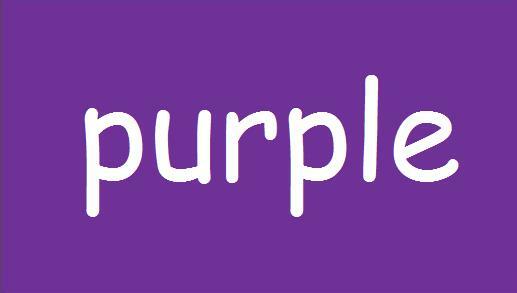 If people no longer trade in purple, the city has lost its wealth and power. The first time the color purple is seen in the Bible is in the fabric used for the curtains and hangings in the tabernacle. Its preciousness and rarity made it appropriate for God’s dwelling place. The King above all kings should have all the honor due a king, including the copious use of purple in his throne room. Later, purple was also prominent in the temple that Solomon built, and he sought out “a man who has the skill to work with gold, silver, bronze, and iron as well as purple, dark red, and violet cloth” (2 Chron. 2:7). In the New Testament, the most notable use of the color purple was when the soldiers placed a purple robe on Jesus to mock him: “The soldiers twisted some thorny branches into a crown, placed it on his head, and put a purple cape on him. They went up to him, said, ‘Long live the king of the Jews!’ and slapped his face” (John 19:2-3; see also Mark 15:17, 20). Because the color purple was connected with royalty, the use of purple in this instance completed their mockery. And of course the irony is that Jesus truly is the King of kings. 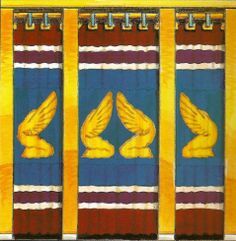 The three colors woven into the veil [of the tabernacle] are symbolic of Christ’s incarnation, ministry, and second advent. . . .The purple was produced from a secretion of the purple snail (murex). Purple is the color of royalty and speaks of Christ’s kingship. Jesus was from the kingly line of David (Luke 1:32), born a King (Matthew 2:2), mocked as a King (Matthew 27:29), declared to be King at his crucifixion (Matthew 27:32), and is coming back as King of kings and Lord of lords (Revelation 19:16) to rule as King forever (Luke 1:33).